The theme Challenge to Change was selected because in recent times our school library profession has undergone far-reaching transformations. This conference showcased some of these changes and provided inspiration to embrace the challenges by bringing together both practice and theory in a range of dynamic sharing and learning sessions. Presentations from the 2017 conference: Australian School Library Association Conference XXV Challenge to Change are available to members. 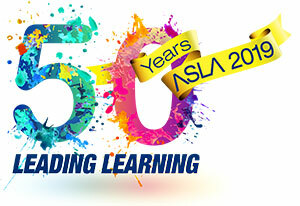 The Australian School Library Association thanks the presenters at the ASLAXXV Conference for making the following presentations available for members.